Alternative Energy, LLC > Solar Energy > How Much Do Solar Panels Cost in 2019? 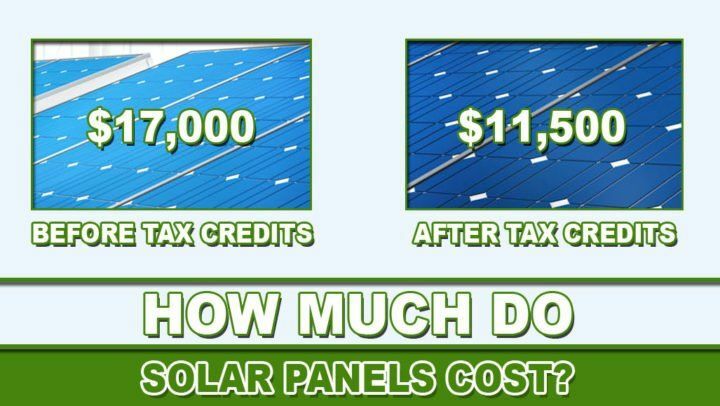 The average cost of solar panels is $17,000 before tax credits $11,500 after tax credits in the US for 2018-2019. Read more about how much do solar panels cost and how much you can save. You have most likely heard about how solar energy can lower your electric bills, but just how much do solar panels cost? The easiest way to calculate the average cost is to look at the price in dollars per watt, which is consistent across the U.S.
During 2018, many homeowners were paying between $2.90 and $3.90 per watt to install solar panels and the average gross cost for solar panels before any tax credits is $16,900. Using the average in the US for a system size of 5000 watts or 5 kW, solar panels will range between $10,050 and $13,500 after the tax credits. That almost 10% lower than 2017 solar costs, and a solar panel system costs will continue to fall. However, in order to really understand what a single solar panel will cost and what a complete system will cost, it is vital that you compare prices that have been quoted to people in your area as the total costs may vary depending on the state that you live in. The cost of solar panels is lowering all over the nation. How Much Do Solar Panels Cost Per Watt? Knowing the average cost per watt is really helpful, but what does $3.12 per watt mean for you? The cost of installing a solar panel on your business or home will depend on how much electricity you want to generate. A bigger system will cost you more because you will have to purchase more equipment and pay for more labor that will be needed to install it. These prices reflect the cost of the solar energy system after deducting federal solar tax credit which reduces the cost of a solar panel system cost by 30%. In some states, local governments, and utilities will offer tax incentives and rebates that can reduce solar panel installation costs. NOTE: These ranges are system prices after the 30% federal tax credit for solar. Remember that while the bigger systems may cost more, they also cause higher savings. If you need to install a 10-kW solar panel system to cover your electricity use, then you may pay more out of pocket, but you will cut your monthly expenses down and saving money is the result. $0 down, low-interest solar panel loans are becoming quite common, which make it much easier to purchase a solar panel system and maximize your solar savings. As intriguing as it is to take a gander at normal solar panel cost in the United States, likewise it’s extremely supportive to comprehend what solar panels will cost in each state. Costs can fluctuate fundamentally relying upon where you live. Various variables affect this variety – a standout amongst the most compelling is the cost of power. That is one explanation behind why Florida’s normal solar panel cost is such a great amount of lower than the cost of solar panels in Massachusetts – power costs in the Northeast are high when contrasted with whatever remains of the U.S. Investigate the table beneath, which contains normal costs by State in 2018. The greatest thing about this information isn’t that a few states are considered to be better than other states with regards to solar costs: it’s that solar panel cost is low and reasonable no matter how you look at it. Practically every state falls inside a $0.40 cent margin of the $3.16 national average for 2018. An extra takeaway is that huge numbers of the main 10 solar panel states in the U.S. for introduced limit are higher than the national average for cost per watt. Obviously, solar power isn’t just justified, despite all the trouble in the districts of the United States where costs are greatly low – there is a solid pattern of selection over the states without guide connection to most minimal cost per watt. How Much Does A Single Solar Panel Cost? Numerous mortgage holders are thinking about how much a solitary solar panel costs as an approach to comprehend the general breakdown of their framework or to compute gauges for DIY solar activities. The straightforward answer is that it relies upon the measure of use a purchaser has, the kind of panel, and the span of the framework. For instance, because solar panel installers have coordinate associations with wholesalers and can purchase in bulk, they can frequently buy solar panels at a rate much lower than the normal buyer. Solar organizations can normally get a solitary solar panel at a cost of $0.75 per watt. In this manner, if the solar panel yield is 250 watts, that solitary panel may cost you $187.50. In any case, if a property holder is endeavoring to get maybe a couple of panels without anyone else for a little DIY venture, they will probably pay nearer to $1 per watt. That implies the same solar panel could cost nearer to $250. For those searching for a range for the cost of solar panels, the cost will keep running from as low as $0.85 per watt to $1.25 per watt with yield extending from 150W to 350W for a run of the mill solar panel. On the off chance that those numbers appear to be low, recall that an establishment has added costs on account of the inverters, solar batteries and other extra gear required for an entire solar based vitality framework. By and large, doubtlessly that the hardware will be altogether less expensive when working with a solar panel installer as opposed to attempting to discover an arrangement online as a shopper. A solar quote will contain all in price that you will be expected to pay whenever you install solar energy systems on your roof. As you begin to explore the solar offers for your home, you will notice that there will be variations in pricing between various installers. What type of factors will consist of the costs for solar panels? First, there will be equipment. Not all solar panels will be created equal, and more efficient equipment will come with a higher price tag. The higher quality, more efficient equipment will come with various benefits that could be worth an additional cost, however, the better hardware may provide more electricity with the same amount of sunlight, and will often come with a comprehensive warranty. While the equipment cost can make up a big part of the solar system quote, the cost of labor and permits are also a big factor. Normally, you will have to pay a fee to be allowed to connect your solar energy system to the grid. There is also a large amount labor that is needed to convert your idea and turn it into reality – all by creating a system, then beginning to coordinate a visit to the site, filing permits and installing the panels will cost money and take time. The characteristics of your home may also play a part in the total cost. If you have a roof that faces south that slopes in an angle of 30 degrees, installing the solar panels will be easy because there are no additional accommodations that are needed. If your roof has multiple levels, skylights, dormers, then the effort for the installation may have additional costs. Another factor is sales and marketing that may increase the cost of your solar energy system. Solar installers will spend money trying to attract customers, whether through: door to door sales, flyers, phone calls or other direct advertising. Luckily, this is a cost that you may control by using an online comparison shopping platform like the Solar Marketplace, where you can lower the costs that your installer may try to incur by marketing to you. How much are your neighbors saving over 20 years because they installed solar panels? As you may expect, this will depend on where you live. For instance, a homeowner may save about $38,100 on average in Portland, Oregon when they go solar. Homeowners can save $63,100 in Boston on average, and in Los Angeles, a homeowner can save $90,100 over a 20-year period. The payback period for your solar panels will depend on the location of your home. The average household may be able to see large savings in just 7 years with a solar panel system, but in most cities, that number is much lower such as Boston, Washington DC, and Jersey City have payback periods of 6 or fewer years. Those who get several quotes will save more than 10%. Just like with any large purchase, taking your time and shopping around for installation costs for solar panels will take research and thought, including a complete review of the companies that are in your area. Recent reports by the NREL or National renewable energy laboratory stated that customers should compare as many solar options as possible to keep from paying inflated prices from large installers in the solar industry. In order to find small contractors that offer lower prices, you will have to use an installer network such as the Solar Marketplace. You can get free quotes from installers that are local when you register your property. Homeowners that get more than 3 quotes can save between $5,000 and $10,000 on the installation of solar panels. The biggest installer isn’t always best mantra is the main reason that it is encouraged to consider all solar options and not just the brands that pay for the most advertising. A recent report has found that large installers will be between $2,000 and $5,000 more expensive than a smaller solar company. If you have -offers from some big installers, make sure that you are comparing bids with quotes from local installers which will help to make sure that you don’t overpay for solar panels. National installers not only have high prices, but they also don’t have as many solar equipment options, which could have a big impact on the production of electricity. By getting multiple solar bids, you can compare costs and savings based on the various equipment packages that are available to you. There are many variables to consider when you are seeking out the best solar panels on the market. While there are certain panels will have higher efficiency ratings than some others, investing in top-line solar equipment doesn’t always mean higher savings. They only way to find the sweet spot for the property is to evaluate quotes with different financing and equipment offers. If you are in the early stage of shopping for solar panels and just want a ballpark estimate for installation, try a solar calculator that will offer long term savings and upfront cost estimates that are based on your roof type and location. For those who are wanting quotes from a local contractor, check out the comparison platform. Alternative Energy, LLC Offers The Lowest Cost Solar Installation In Arizona, Florida & Texas! If you are looking for solar panel installation in Arizona, Florida or Texas, Alternative Energy, LLC can help! 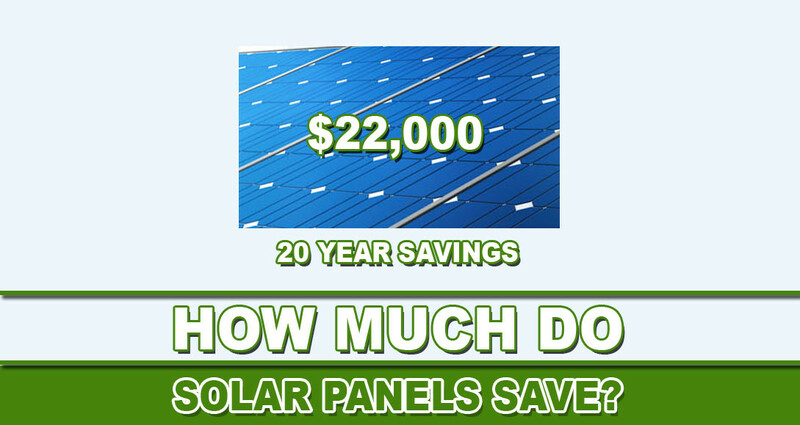 We can help you save a ton of money residential and commercial solar panels. Give us a call today at (480) 744-1803 for a free solar quote. Click here if you are looking for how much do commercial solar panels cost. View our solar financing options. If you live in Arizona, use our solar panel cost calculator to find out your solar system size, how many solar panels you need, total system cost and estimated monthly payment.